There are plenty of extracurricular activities at Concord High School for students to partake of. Clubs and sports are a great way to get involved and make new friends, as graduating senior Cailin Casey found when she discovered volleyball during her freshman year. “I made most of my friends during volleyball. Spending so much time on the court with those girls really made a special connection between us,” she said. The varsity team made it to the quarterfinals in 2016. The team was projected to go deeper into playoffs but their run fell short and they claimed third place in Division 1. 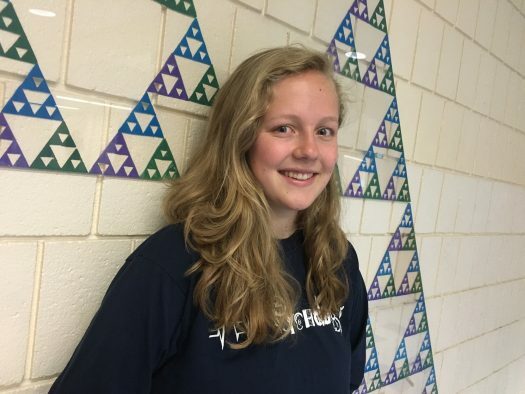 “Volleyball was a whole new environment for me as a freshman. And I think it has helped me work with other people and make friends,” said Casey. She said varsity volleyball coach Mr. Flower had a strong influence on her, helping her determine what she wanted to do during her first few years following graduation from CHS. Casey has committed to attending Gettysburg College but may take a gap year to work and travel.